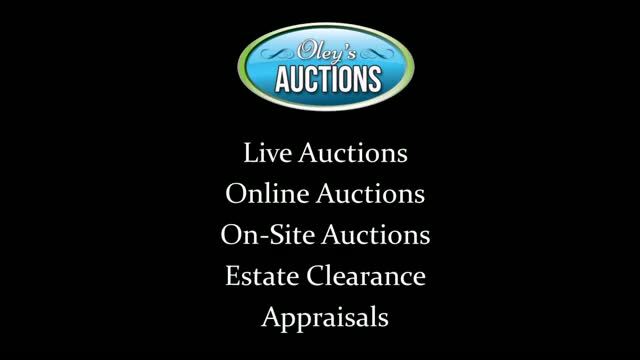 Oley's Auctions is full service modern Auction House in Powassan, Ontario. Oley's Auctions aims to make the auction experience inviting to all! With our modern renovations of the building at 788 Main Street, Powassan (formerly the Co-op) we aspired to make the building welcoming to all. The facility is fully accessible with Barrier-Free facilities. The staff at Oley's is committed to making you feel comfortable throughout the auction process. If you have any questions, just ask! See our Facebook page by clicking on the icon below. Keep up to date with upcoming auctions by providing us with your email address. You will be added to our mailing list. If you wish to unsubscribe at any time, please send STOP to this address.